Acupuncture, once regarded as a mystical form of Eastern medicine, has grown in popularity as a potent cure for so many ailments. From pain relief and reduced stress to headaches, arthritis, and infertility, the ancient practice of acupuncture may be a cure-all for what ails you. If you’re thinking “But what about all those needles?” keep reading to learn how one acupuncture skeptic got over the fear of being needled to reap the benefits and find relief. Flu shots, blood tests, needles – oh my! deep breaths and look away, imagining myself in my happy place, canoeing on a remote lake in a national park. Even still, I tense up my arm by habit, grimace and feel the sting. natural therapy – like acupuncture. pain when there’s an obstruction in the movement of these energy channels. Needling specific points on the body unblocks the channels to get the energy flowing properly. I went to Katie Au, an acupuncture practitioner and chiropractor at Shape Health and Wellness Centre in Toronto, Canada, for a modern explanation of acupuncture and an acupuncture treatment. The bottom line? 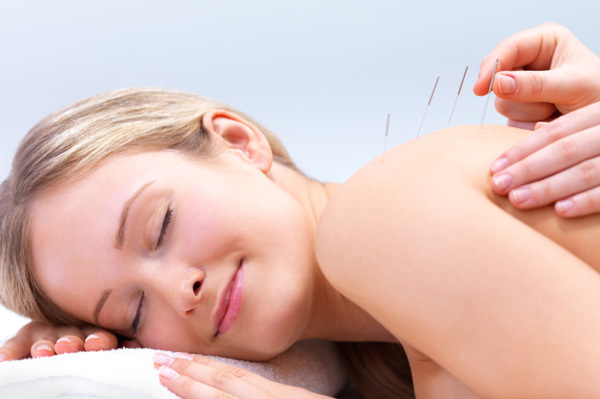 Acupuncture is a way to reset the body’s own internal regulating system for optimal health. I lie on my stomach on a massage table, baring only my back, and start to relax to the soothing music. It’s true – I hardly feel the sensation of the needle piercing my skin. vessel 20”, she says, but it’s commonly called the “happy point”, to promote feelings of calm and restoration. explaining that the skin around each point is darkening as circulation and blood flow increases to heal the tiny needle injury. I’m relaxed and refreshed at the same time, as though I’d finished a great yoga class and all was right with the world. I get after a deep-tissue massage. A soak in the tub with Epsom salts is my go-to remedy that “flushes the toxins”, as massage therapists say, and melts away the soreness. As good as I feel, I know I’ll be back for another acupuncture treatment – so bring on those needles! Is hypnosis good for health?